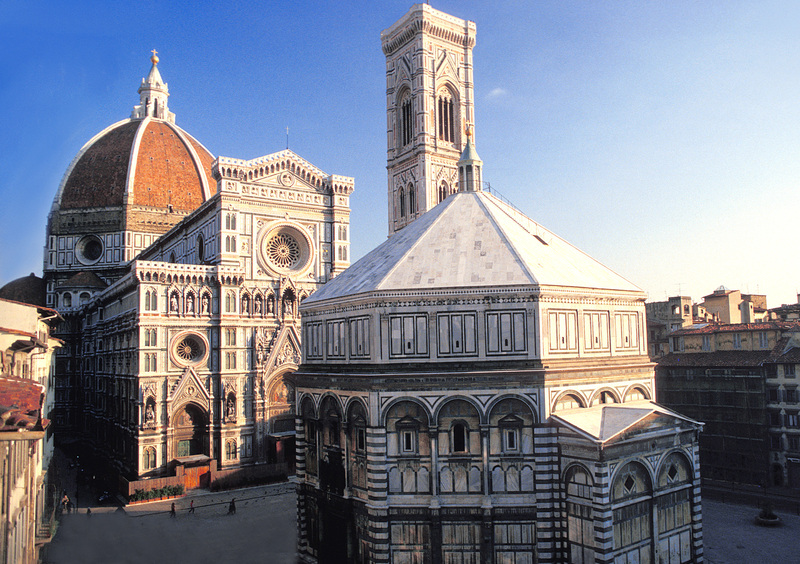 INCREASED SECURITY AT THE FLORENCE DUOMO – GO EARLY! In the past few months, increased visitor security screening was initiated at the Cathedral of Santa Maria del Fiore, the Duomo, in Florence. As with most of the other museums in the city (Uffizi, Bargello, Museum of the Works of the Duomo and many others), visitors are security checked before entering sites. The result of the increased security at the Duomo in Florence is frustratingly long lines. During a recent visit to the city, in mid-March, the line stretched from the facade entrance all the way along the northern side of the structure and around to the entrance of the Museum of the Works of the Duomo. This was easily a wait of well over an hour before entering. Security is critical to the protection of historic sites; this is an article to assist visitors in avoiding long waits before visiting this incredible cathedral. Best recommendation we can make is to go EARLY. If you can be in line at least fifteen minutes prior to the Duomo’s opening, see Hours listed below, you will not have to stand for extended periods of time before entering. While you do not need a ticket to enter the Duomo, the new combined ticket offered by Il Grande Museo del Duomo includes your admission to the Baptistery, Museum of the Works of the Duomo, Giotto’s Campanile (Bell Tower), Brunelleschi’s Dome (NOTE: Visitors to the Dome MUST reserve a specific entrance time, or will not be admitted) and the Crypt of the Duomo.